We have written several articles about healthy verses unhealthy oils in the past, and there are a plethora of things to consider when using cooking oils. We are revisiting this topic due to reader interest. While the nutritional content of cooking oils is usually considered, the rancidity of oils is actually of greater importance. Whenever an oil is heated, it undergoes a partial or complete chemical breakdown, which leads to it becoming rancid. This heat-induced process transforms formerly healthy oils into dangerous oils, which are most often carcinogens. This happens regardless of their original nutrient content. Each oil has a smoke point, which is the point at which the nutritional content of an oil begins to rapidly degrade. The smoke point is when oils become undisputedly harmful, and when they begin emitting smoke (which is more toxic). Every time an oil is reused, its smoke point temperature is lowered, which is one of the reasons why eating at restaurants should be discouraged. Canola oil is the worst choice, because it becomes toxic long before it reaches its smoke point. This is information that has been somewhat obscured from public view, so we are outraged about the situation with canola, and its wide scale promotion by Whole Foods Market. It is also worth noting that Whole Food’s promotes hormone destroying soy. The high rates of lung cancer in China are due in large part to the use of canola and rapeseed oil, despite a low cigarette smoking rate. If you plan on cooking with canola oil and breathing its fumes, then it would be healthier to smoke several cigars instead. ‘Vegetable oil’ once referred to corn oil, but now it usually refers to soybean or canola oil; so beware when you see vegetable oil on a label. The low smoke point of flax seed oil is the reason why we recommend avoiding most so-called ‘healthy’ foods that include flax. Flax oil becomes rancid much faster than other oils when exposed to heat, light, or oxygen. Thus, those ‘healthy’ flax-enriched foods are very likely to destroy the arteries faster than anything else, and to eventually cause cancers. We still recommend flax oil supplements, but only when the oil has been properly packaged and processed to protect it from heat, light, and oxygen. We recommend peanut oil and coconut oil for high heat cooking, and olive oil for lower heat (see the chart for the ideal type of olive oil for your purpose). By high heat, we mean such temperatures that may be obtained from cooking in a wok or a deep fryer. Both olive oil and coconut oil are known for their health benefits and nutritional value. If you are searching for something like butter, then simply use butter. Butter is actually a healthy substance that is full of fat-soluble vitamins and minerals, which are difficult to obtain from other sources. The best type of butter is organic, unsalted, yellow butter, which is more nutrient dense than standard butter. Natural butter, in moderation, will do much more good than harm; contrary to what your doctor may have told you. Butter can be used whenever high heat is not required. Never use margarine or other artificial fats. Margarine is the imitation that was created by the chemical industry, and it is largely responsible for the soaring rates of heart disease. Please note, concerning the table below, that oils marked as “refined” are the standard versions that are sold in grocery stores, and these tend to have lower nutritional values. 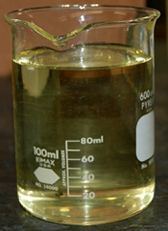 The inclusion of an oil in the list is by no means a recommendation from us for its use. We would never promote the use of canola or soy, in fact. We generally recommend against corn oil in part because it is genetically engineered, like soy and canola. Sources include Christian Chefs, Illinois University, and Cooking For Engineers.